5 Answers Why Bari is So Often-Visited! Dream of a quiet and lovely weekend? Set off to Bari and feel deep relaxation in charming Mediterranean! It’s interesting to know that Bari is one of the most visited resorts of Italy. You may be very surprised, because, probably you haven’t heard much about this city. Yes, it’s not so popular like Milan or Rome, but this is a true gem of Italy! Despite the fact that Bari is a large modern city, it has retained an indescribable atmosphere of comfort and coziness, which is usually inherent in small towns. It also attracts for its spectacular scenery, beautiful sandy beaches and excellent opportunities for your vacation! And that’s not all! Want to know more? Great! Just grab your credit card, a rental car, and get ready to check out TOP 5 reasons, why so many people all over the world continue visiting Bari year by year! 1. Visit a famous pilgrimage site of Christians! It’s interesting to know that Bari is popular not only among ordinary tourists! 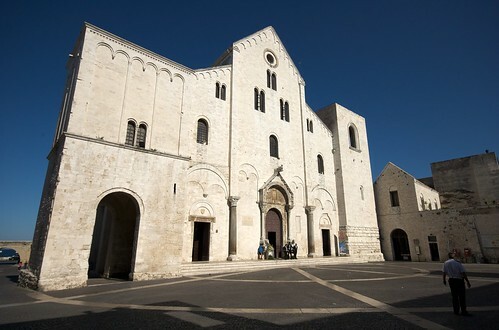 There are about 500,000 of pilgrims come here to visit Bari’s Saint Nicholas Basilica which is not only a beautiful Romanesque masterpiece, but also a living pilgrimage site for many Christians who come to pray at the tomb of St Nicholas! It’s a unique experience you shouldn’t miss! 2. Discover the deepest cave in the world! The length of the tunnel is 3 km, so a tour through the underground labyrinths takes about 2 hours. The most patient and enduring ones will be rewarded at the end of the path: after reaching the White cave you will see unique snow-white stalactites! Amazing sight! 3. Get a full relaxation on the Pane e Pomodoro Beach! This is the most popular beach both among tourists and locals. Crystal clear Adriatic Sea, gentle sun, free parking and plenty of cozy cafes: there is everything to forget about all the problems and just enjoy the trip! 4. Taste the most delicious pizza in the whole city! It’s time to eat so let’s check Pizzeria Enzo e Ciro! Besides, many people say that this is the best pizza spot in Bari! Delicious meals, cozy atmosphere, cheap drinks and great value: what else do you need for a great vacation? P.S. Don’t forget to try its famous mushroom antipasti! 5. Admire gorgeous and unique Castel del Monte! Castel del Monte is one of the most outstanding castles of Emperor Frederick II! It belongs to the UNESCO World Heritage Sites. This attraction really impresses for an exclusive octagonal shape and unusual color effect! The surroundings are also very beautiful. You won’t find such an amazing ancient castle anywhere else, and this is not a coincidence that it continues to excite many historians and mystics to the present days! 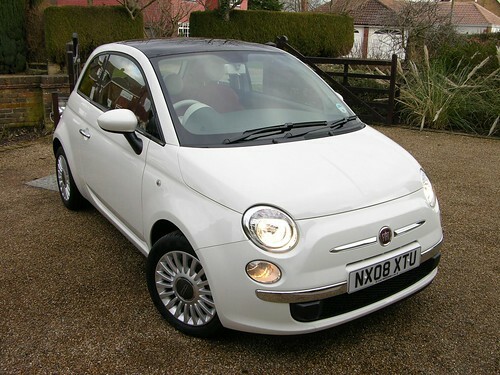 How to get a rental car in Bari? Without any doubt, a rental car is one of the “must have” things during your vacation! You won’t need to wait taxi or public transport. Besides, a rental car is the best choice due to the fact that many attractions are located not in the city itself. Don’t know where to get the car? Be sure to do it directly at the Bari Airport! It’s very easy! Just follow this link http://italy.rentalcars24h.com/bari-airport#tips, make a booking online in advance, and a car will be prepared upon your arrival at the airport! Enjoy the best emotions in Bari! Author Bio: Lily Berns adores getting to know new cultures and meeting new people from all over the world. She writes travel articles specifically for RentalCars24h.